A special episode, recorded live at The Sydney Opera House. A young Malaysian Australian man begins to appreciate his culture through the lens of rap music, a comic’s questionable joke makes him the most hated man in Australia, and a journalist goes undercover in North Korea. Hosted by David Crabb with additional hosting by Jay Allison. The Moth Radio Hour is produced by The Moth and Jay Allison of Atlantic Public Media. Omar Musa travels to Malaysia and finds his roots. Dan Illic does a parody of an Australian tragedy that some felt was definitely "too soon." 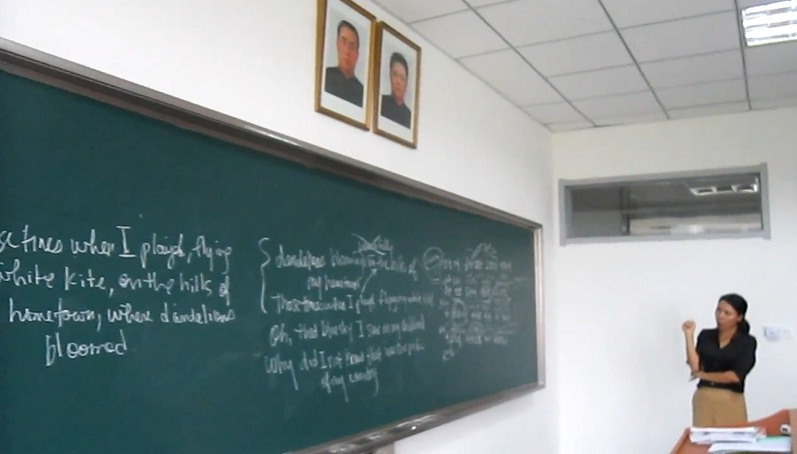 Suki Kim is a journalist who risks her life posing as a teacher in an elite North Korean school. Suki in front of the board. View more photos of Suki in North Korea here.